Sorry for not posting recently. Not much happening on the boat front I'm afraid and so we have just got on with daily life of going to work every day. The kids are back to school and the traffic queues are now twice as long again. Chris's mum, Mary, has had a couple of bad falls and is now in hospital so we have been up and down the motorway visiting. She is not eating or drinking and so is getting more frail as the days pass and her memory is going too. Worrying times ahead and so we are both a bit down in the dumps at the moment. 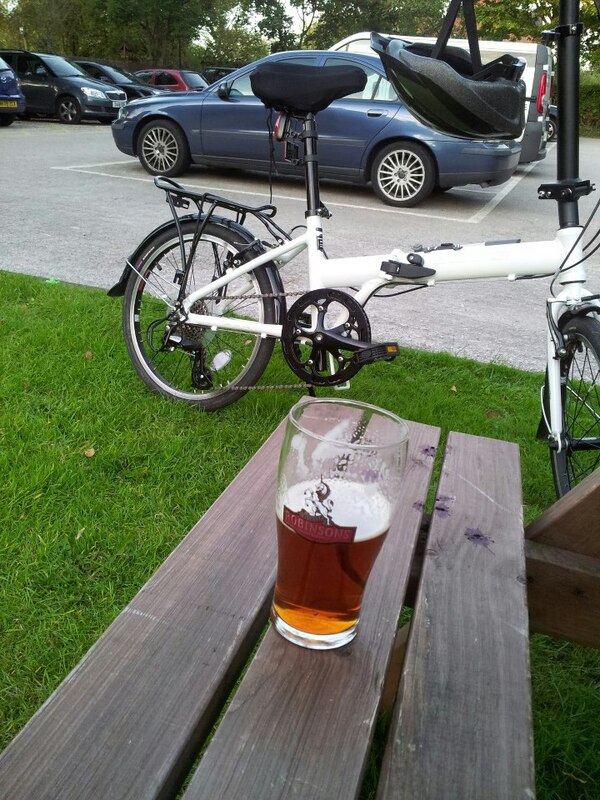 To cheer us up a bit we bought two folding bicycles for on the boat and have been making the most of them. So far we have cycled into town via the canal and tonight we are just back from cycling to Ellesmere port Boat Museum and Back. We live by Chester zoo so picked up the canal there and cycled to the museum. Tomorrow we plan to cycle to the sailing club for a BBQ and a pint or three. Now one thing we've learnt since having the bike is that whoever designs the saddles is clearly not a cyclist. My backside is numb and my legs are like jelly. Can't beat and Old Speckled Hen!